Low-Fat Wedge Salad dressed with spiced buttermilk and garnished with Smoked Tomatoes – perfect summer entertainer. Who knew Iceberg lettuce could be so tasty? Seriously, there are so many types lettuce and fancy salad greens available at the moment, it is hard to remember all of their names, let alone pick a favourite. And as the days are starting to warm up – how warm is it today, it’s back to basics with this simple, low-fat wedge salad for me. I rediscovered the joys of Iceberg since Mr Chipconnoisseur took over “cooking” one day a week. This involves us being chauffeured to our local pub, The Woolwich Pier, where the salad features on the Sides menu designed by multiple-hatted chef Lee Kwiez. Generally speaking, after a day of cooking and recipe testing I’m not extremely hungry by the time dinner comes so I tend to go for the lighter options on the Sides menu, or pick from the pretty good Kids’ menu – swapping out fries for mash or salad instead. So what makes this wedge salad so different? Well, instead of a classic cheese dressing and bacon topping, the salad is dressed with a lightly spiced buttermilk. The other thing that makes it so irresistibly good are the tomatoes. They have a grilled, smoky flavour, which is easily replicated at home – over the gas stove. Of course, there is the option of adding some croutons and shaved Parmesan cheese as toppings, but I like the simplicity of this dish without them. For tips on how to make your own buttermilk in minutes, see recipe below. So, tell me, do you like Iceberg lettuce or do you prefer the more fancy lettuce varieties? 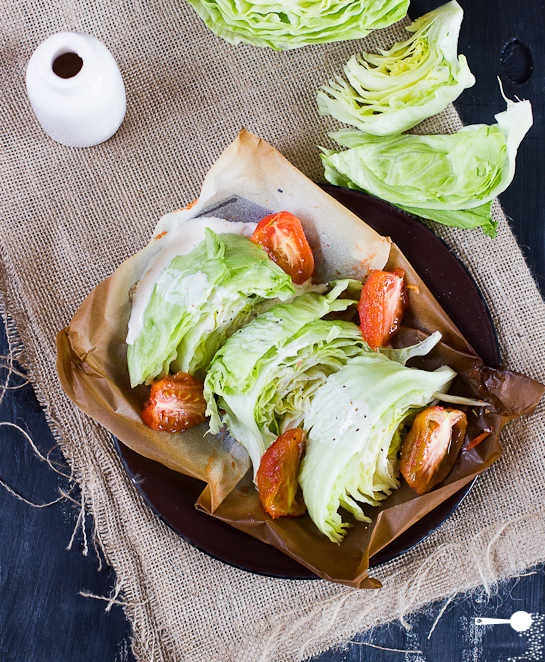 A light low-fat wedge salad alternative. If you can't get buttermilk, you can make your own by adding 1 tablespoon of lemon juice to half a cup of milk. Mix, stand for 5 minutes and you'll have some delicious buttermilk! Preheat oven grill to high. Turn on the medium gas hob on medium. Place a wire rack over the hob and arrange whole Roma tomatoes on top. Using tongs, keep turning the tomatoes every 10 seconds or so, until the skins are lightly charred and beginning to break. Transfer tomatoes onto a roasting tray and into the oven for 5 minutes. Remove from oven, peel skins and place peel tomatoes in the fridge to cool. Mix milk with lemon juice in a jug. Set aside for 5 minutes, for the milk to curdle and turn into buttermilk. Add paprika and cayenne pepper. Mix well. Set aside. 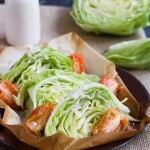 Cut Iceberg lettuce into wedges and arrange on a flat serving platter. 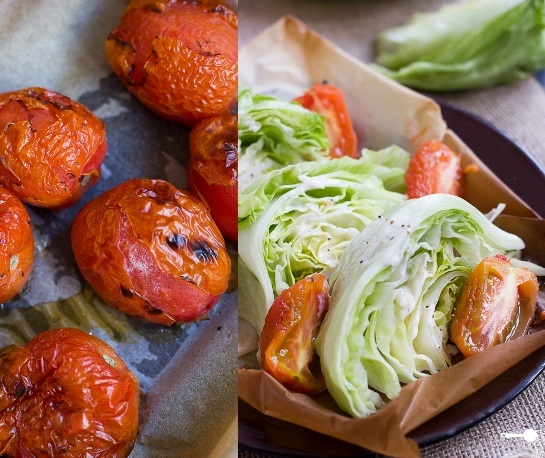 Cut smoked chilled tomatoes in half lengthways and arrange around the lettuce wedges. Drizzle the salad with Low-Fat Buttermilk Dressing. I good smash a salad like this right now, it looks so fresh and vibrant. Love a bit of iceberg! Your salad looks so delish! I just love it! That looks – and sounds – absolutely delicious. 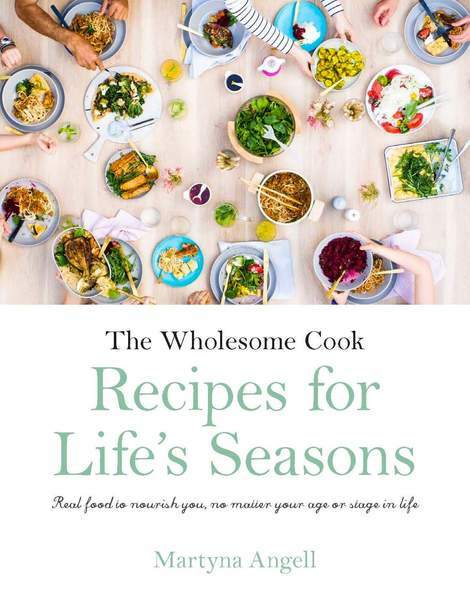 I’m a huge fan of lettuce, but I’m also a huge fan of dressing; I’m a bit of a wimp when it comes to raw salads and raw veg without any form of dressing at all, I’m afraid. That low fat dressing sounds absolutely divine. What a great and tasty salad. Perfect for a day like this. Many people turn their nose up at iceberg but for me it isn’t the case. As much as I like a variety of leaves and lettuce styles, the good old iceberg is a reliable one to fall back on. I like the juicy touch with the roasted tomatoes. A nice light meal or perfect side dish! I’m crazy about all lettuce really but ice berg and baby spinach are my favourites. I remember they based a whole episode of Modern Family around the wedge salad. Have you seen it? Hi Martyna, What a lovely, yet simple salad. Sounds so tasty and full of flavours. I love Iceberg lettuce just as much as any other greens. Also LOVE Modern Family, have watched repeats several times over, but don’t recall an episode about wedge salad. No doubt will see it one day. 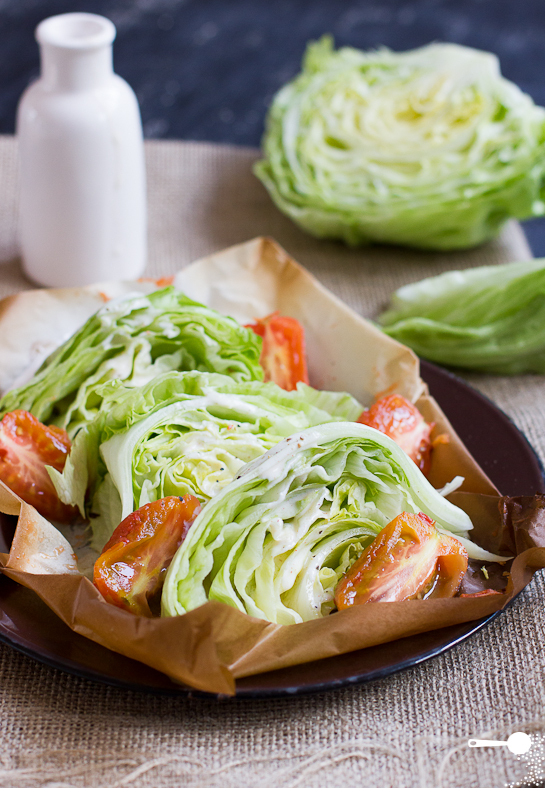 This is a refreshing take on the iceberg wedge salad. I love the idea of adding smoked tomatoes. I love the sound of the smoked tomatoes – I’ve never had this before! Ooo this looks delicious! Your buttermilk dressing sounds really tasty! I’ll have to give it a try. And I’ve never had smoked tomatoes before either. What an intriguing idea!